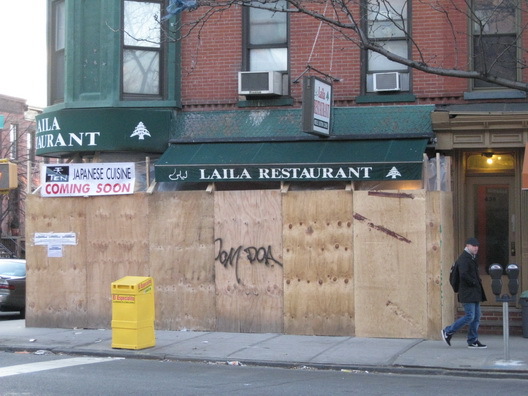 South Slope Middle Eastern Laila closed suddenly a month or so ago. We can now report, based on our keen powers of observation, that it's going Japanese. The new place appears to be called Ten Japanese. We are certain the appearance of yet another Japanese restaurant in Park Slope--which has its share of them on Fifth and Seventh Avenues--will induce many shrieks of delight in the neighborhood.